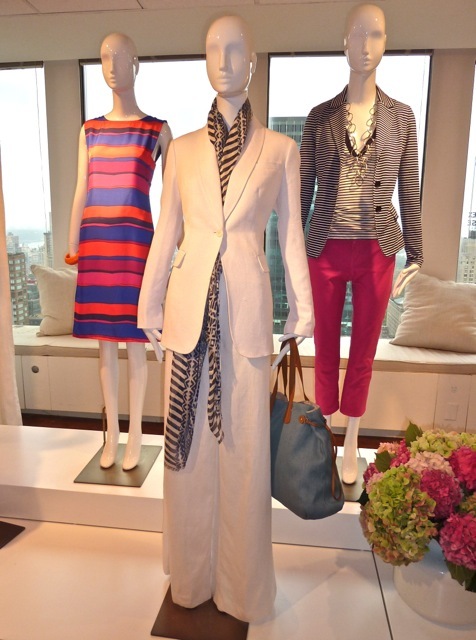 A couple of weeks ago I attended a preview of Talbots‘ spring 2012 line. Although it was gray and rainy outside the hydrangea were in full bloom in the bright and sunny showroom. What a fun line-up is coming. Talbots continues the trend we saw on the spring runway shows – lots of color, florals and pattern mixed with geometrics and bright accessories. See the mix of the rose floral jacket with the brushstroke rose-print blouse? You will see quite a bit of this type of coordination come spring. Or in fun tailored accessories. How adorable is this Beacon Hill straw shoulder bag? 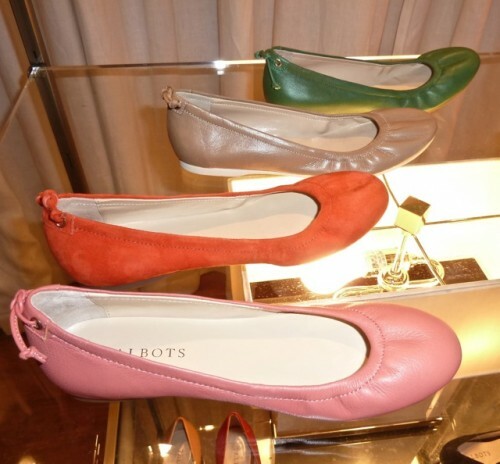 Colorful ballet flats are always useful. These Marlene wide-leg paisley pants are a must have for my spring wardrobe. At $119, they are a fun way to add a little of the pattern trend to my mostly neutral wardrobe. My other favorite was this easy going classic linen outfit. I love the lean length of the jacket and the Hepburn pant is a great staple. White linen just doesn’t last for seasons on end and adding a stylish shape in this classic summer fabric is a great way to update the essential summer white. I even like the navy and white batik scarf. There were many choices in super casual attire as well. Easy going tops like this are great for throwing over white jeans. I tend to buy fewer expensive items for my spring/summer wardrobe and rely on reasonable additions like these to my augment my designer staples. 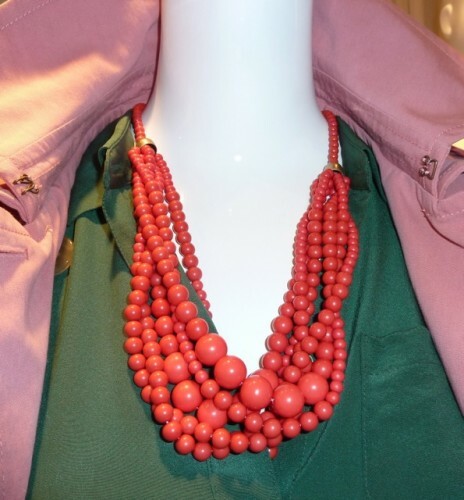 Look for these colorful easy to wear items in the spring as a simple way to update your warm weather style. This entry posted in bags, fashion, jewelry, talbots. 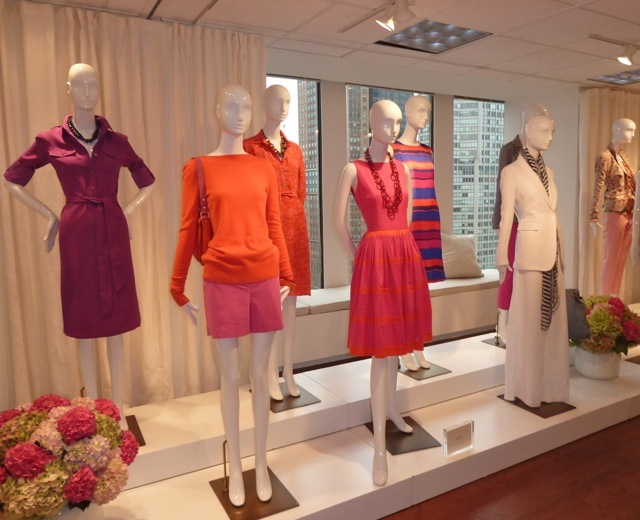 Entry Tags: Spring 2012 fashion, Talbots, Talbots Spring 2012 Collection Bookmark the permalink. Looks really lovely! I need to augment my classics with a few fun tops. After traveling for the week – I realized tops are an easy way to update a look and to layer. 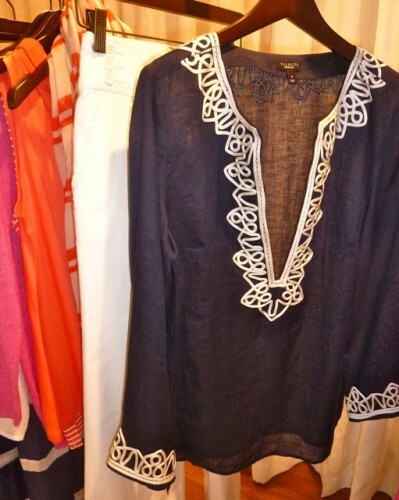 I can’t quite wrp my head around spring fashion just yet, but these pieces o look tempting! Since I’m trying very hard to break out of my black clothing shell I’m loving all the bright colors they’re showing. I’m waiting for spring already! The new collection has a Lilly meets Liberty vibe and I love those colorful ballerinas. 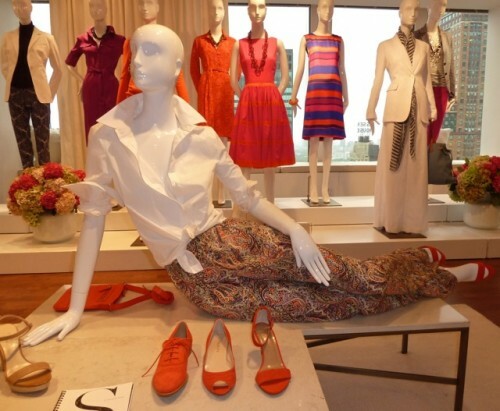 May have to invest in all the colors… A very chic and colorful mood! My go-to store for everything! Happy to see a lot of orange again. Susan does most of her shopping there–and Nordstroms. I MUST send you a photo I snapped recently at the Talbots in Northampton!!!! Diane nailed it: Its liberty meets lilly! WHOA!!!!!! This is Tablots? Not the one I used to go to with my mom!! Looking really good. I am going to go pay them a visit, looking at them with a new set of eyes (and interest)! 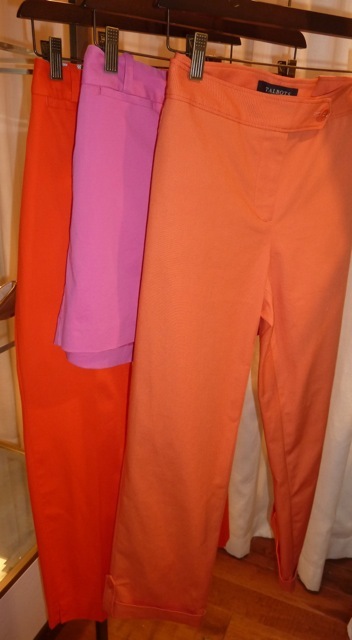 Ooooh, I am excited about the orange and hot pink. I am interested in that dress (?) with the full skirt that I see in the background! Thanks so much for sharing, Stacey! Wow…Talbot’s has a great line up for Spring. I could use several of those dresses!! Let us know when it hits stores!! ps: ordered the Katie Ridder book last night! Orange you excited about those straw bags? Not to mention the easy, happy , colorful, summer dresses? Love it all. HA!! Yes I am!! There are some definite purchases here I am making!! Wow. Love the dresses. Quite J. Crewish, which is a good thing right now. I must say I really like these! 80 queries in 0.592 seconds.